Stock photo of lake Superior shrouded in fog near Lizard Island in Lake Superior Provincial Park in Ontario, Canada. 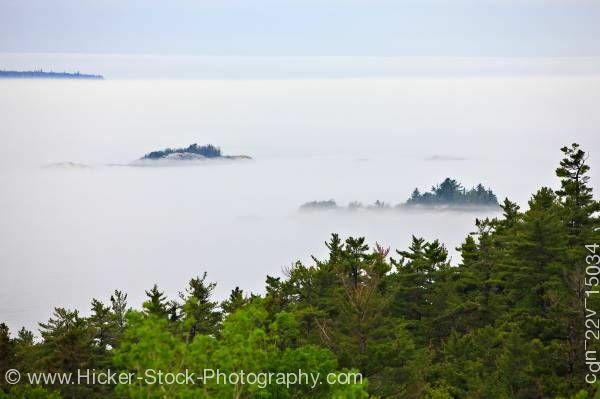 This stock photo shows Lake Superior shrouded by fog, with only the tops of a few islands sticking out above the fog layer, as seen from higher up a tree covered hillside near Lizard Island, Lake Superior Provincial Park, Ontario, Canada. The coastline along Lake Superior is considered some of the most scenic and breathtaking in all of Canada.